Citation: Quantum 3, 118 (2019). We study the effect of local decoherence on arbitrary quantum states. Adapting techniques developed in quantum metrology, we show that the action of generic local noise processes --though arbitrarily small-- always yields a state whose Quantum Fisher Information (QFI) with respect to local observables is linear in system size $N$, independent of the initial state. This implies that all macroscopic quantum states, which are characterized by a QFI that is quadratic in $N$, are fragile under decoherence, and cannot be maintained if the system is not perfectly isolated. We also provide analytical bounds on the effective system size, and show that the effective system size scales as the inverse of the noise parameter $p$ for small $p$ for all the noise channels considered, making it increasingly difficult to generate macroscopic or even mesoscopic quantum states. 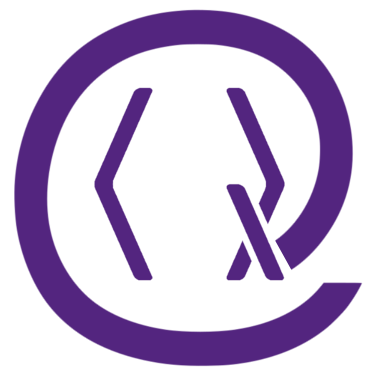 In turn, we also show that the preparation of a macroscopic quantum state, with respect to a conserved quantity, requires a device whose QFI is already at least as large as the one of the desired state. Given that the preparation device itself is classical and not a perfectly isolated macroscopic quantum state, the preparation device needs to be quadratically bigger than the macroscopic target state. 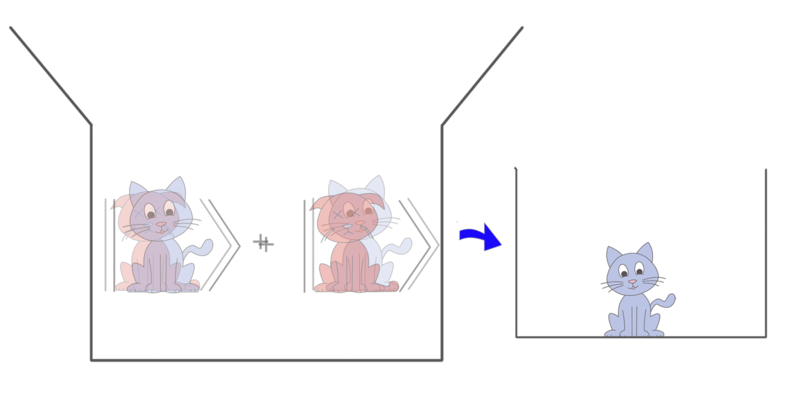 Schrödinger’s cat has evolved from being a thought experiment to being a real theoretical and experimental challenge. But will we ever be able to get a quantum superposition of the size of a cat? To achieve this, one would need to prepare, maintain and observe such a macroscopic state, and certify that it is truly quantum. All three tasks pose their own challenges. In this work, we consider the preparation and maintenance of macroscopic quantum states, and study how such states are affected by local decoherence. By means of the Quantum Fisher Information, we characterize the macroscopicity of arbitrary quantum states and we show that all quantum states of macroscopic sizes are fragile and cannot be maintained if the system is not perfectly isolated. In addition, we find that, in order to prepare such states, one needs the classical preparation device to be quadratically bigger than the target state. D. J. Wineland. Nobel lecture: Superposition, entanglement, and raising schrödinger's cat. Rev. Mod. Phys., 85 (3): 1103-1114, 2013. 10.1103/​revmodphys.85.1103. S. Eibenberger, S. Gerlich, M. Arndt, M. Mayor, and J. Tüxen. Matter–wave interference of particles selected from a molecular library with masses exceeding 10 000 amu. Phys. Chem. Chem. Phys., 15: 14696, 2013. 10.1039/​c3cp51500a. T. Kovachy, P. Asenbaum, C. Overstreet, C. A. Donnelly, S. M. Dickerson, A. Sugarbaker, J. M. Hogan, and M. A. Kasevich. Quantum superposition at the half-metre scale. Nature, 528 (7583): 530-533, 2015. 10.1038/​nature16155. O. Hosten, N. J. Engelsen, R. Krishnakumar, and M. A. Kasevich. Measurement noise 100 times lower than the quantum-projection limit using entangled atoms. Nature, 529 (7587): 505-508, 2016. 10.1038/​nature16176. C. Wang, Y. Y. Gao, P. Reinhold, R. W. Heeres, N. Ofek, K. Chou, C. Axline, M. Reagor, J. Blumoff, K. M. Sliwa, L. Frunzio, S. M. Girvin, L. Jiang, M. Mirrahimi, M. H. Devoret, and R. J. Schoelkopf. A schrodinger cat living in two boxes. Science, 352 (6289): 1087-1091, 2016. 10.1126/​science.aaf2941. H. Vahlbruch, M. Mehmet, K. Danzmann, and R. Schnabel. Detection of 15 dB squeezed states of light and their application for the absolute calibration of photoelectric quantum efficiency. Phys. Rev. Lett., 117 (11): 110801, 2016. 10.1103/​physrevlett.117.110801. S. P. Nolan and S. A. Haine. Quantum fisher information as a predictor of decoherence in the preparation of spin-cat states for quantum metrology. Phys. Rev. A, 95: 043642, apr 2017. 10.1103/​physreva.95.043642. A. O. Caldeira and A. J. Leggett. Influence of damping on quantum interference: An exactly soluble model. Phys. Rev. A, 31: 1059-1066, 1985. 10.1103/​physreva.31.1059. B. Yurke and D. Stoler. Generating quantum mechanical superpositions of macroscopically distinguishable states via amplitude dispersion. Phys. Rev. Lett., 57: 13-16, 1986. 10.1103/​physrevlett.57.13. G. J. Milburn and C. A. Holmes. Dissipative quantum and classical Liouville mechanics of the anharmonic oscillator. Phys. Rev. Lett., 56: 2237-2240, 1986. 10.1103/​physrevlett.56.2237. N. D. Mermin. Quantum mechanics vs local realism near the classical limit: A Bell inequality for spins. Phys. Rev. D, 22: 356-361, 1980. 10.1103/​physrevd.22.356. A. Peres, editor. Quantum Theory: Concepts and Methods. Springer Netherlands, 2002. 10.1007/​0-306-47120-5. C. Simon and D. Bouwmeester. Theory of an entanglement laser. Phys. Rev. Lett., 91: 053601, 2003. 10.1103/​physrevlett.91.053601. W. H. Zurek. Decoherence, einselection, and the quantum origins of the classical. Rev. Mod. Phys., 75: 715-775, 2003. 10.1103/​revmodphys.75.715. S. Raeisi, P. Sekatski, and C. Simon. Coarse graining makes it hard to see micro-macro entanglement. Phys. Rev. Lett., 107: 250401, 2011. 10.1103/​physrevlett.107.250401. A. Carlisle, H. Kwon, H. Jeong, A. Ferraro, and M. Paternostro. Limitations of a measurement-assisted optomechanical route to quantum macroscopicity of superposition states. Phys. Rev. A, 92: 022123, 2015. 10.1103/​physreva.92.022123. F. Fröwis, P. Sekatski, W. Dür, N. Gisin, and N. Sangouard. Macroscopic quantum states: Measures, fragility, and implementations. Rev. Mod. Phys., 90: 025004, 2018. 10.1103/​RevModPhys.90.025004. W. Dür, C. Simon, and J. I. Cirac. Effective size of certain macroscopic quantum superpositions. Phys. Rev. Lett., 89: 210402, 2002. 10.1103/​PhysRevLett.89.210402. P. Sekatski, N. Sangouard, and N. Gisin. Size of quantum superpositions as measured with classical detectors. Phys. Rev. A, 89: 012116, 2014a. 10.1103/​physreva.89.012116. P. Sekatski, N. Gisin, and N. Sangouard. How difficult is it to prove the quantumness of macroscropic states? Phys. Rev. Lett., 113: 090403, 2014b. 10.1103/​physrevlett.113.090403. J. I. Korsbakken, K. B. Whaley, J. Dubois, and J. I. Cirac. Measurement-based measure of the size of macroscopic quantum superpositions. Phys. Rev. A, 75: 042106, 2007. 10.1103/​physreva.75.042106. C. Park and H. Jeong. Disappearance of macroscopic superpositions in perfectly isolated systems by thermalization processes. arXiv preprint arXiv:1606.07213v2, 2016. F. Fröwis, M. van den Nest, and W. Dür. Certifiability criterion for large-scale quantum systems. New J. Phys., 15: 113011, 2013. 10.1088/​1367-2630/​15/​11/​113011. F. Fröwis and W. Dür. Measures of macroscopicity for quantum spin systems. New J. Phys., 14: 093039, 2012. 10.1088/​1367-2630/​14/​9/​093039. A. Shimizu and T. Miyadera. Stability of quantum states of finite macroscopic systems against classical noises, perturbations from environments, and local measurements. Phys. Rev. Lett., 89 (27): 270403, 2002. 10.1103/​physrevlett.89.270403. H. Cramér. Mathematical Methods of Statistics. Princeton University Press, 1945. 10.1515/​9781400883868. R. Demkowicz-Dobrzański, J. Kołodyński, and M. Guţă. The elusive heisenberg limit in quantum-enhanced metrology. Nat. Commun., 3 (1063): 1063, 2012. 10.1038/​ncomms2067. J. Kołodyński and R. Demkowicz-Dobrzański. Efficient tools for quantum metrology with uncorrelated noise. New J. Phys., 15 (7): 073043, 2013. 10.1088/​1367-2630/​15/​7/​073043. P. Sekatski, M. Skotiniotis, J. Kołodyński, and W. Dür. Quantum metrology with full and fast quantum control. Quantum, 1: 27, 2017. 10.22331/​q-2017-09-06-27. R. Demkowicz-Dobrzański, J. Czajkowski, and P. Sekatski. Adaptive quantum metrology under general markovian noise. Phys. Rev. X, 7: 041009, 2017. 10.1103/​physrevx.7.041009. M. Skotiniotis, W. Dür, and P. Sekatski. Macroscopic superpositions require tremendous measurement devices. Quantum, 1: 34, 2017. 10.22331/​q-2017-11-21-34. V. Giovannetti, S. Lloyd, and L. Maccone. Quantum-enhanced measurements: Beating the standard quantum limit. Science, 306: 1330-1336, 2004. 10.1126/​science.1104149. V. Giovannetti, S. Lloyd, and L. Maccone. Quantum metrology. Phys. Rev. Lett., 96: 010401, 2006. 10.1103/​physrevlett.96.010401. A. Shaji and C. M. Caves. Qubit metrology and decoherence. Phys. Rev. A, 76: 032111, sep 2007. 10.1103/​physreva.76.032111. A. Fujiwara and H. Imai. A fibre bundle over manifolds of quantum channels and its application to quantum statistics. Journal of Physics A: Mathematical and Theoretical, 41 (25): 255304, 2008. 10.1088/​1751-8113/​41/​25/​255304. B. M. Escher, R. L. de Matos Filho, and L. Davidovich. General framework for estimating the ultimate precision limit in noisy quantum-enhanced metrology. Nat Phys, 7: 406-411, 2011. 10.1038/​nphys1958. W. Dür, M. Skotiniotis, F. Fröwis, and B. Kraus. Improved quantum metrology using quantum error correction. Phys. Rev. Lett., 112: 080801, 2014. 10.1103/​physrevlett.112.080801. I. R. Shafarevich and A. Remizov. Linear Algebra and Geometry. Springer Science & Business Media, 2012. 10.1007/​978-3-642-30994-6. CVX Research. CVX: Matlab software for disciplined convex programming, version 2.0. http:/​/​cvxr.com/​cvx, 2012. M. Grant and S. Boyd. Graph implementations for nonsmooth convex programs. In V. Blondel, S. Boyd, and H. Kimura, editors, Recent Advances in Learning and Control, Lecture Notes in Control and Information Sciences, pages 95-110. Springer-Verlag Limited, 2008. 10.1007/​978-1-84800-155-8_7. http:/​/​stanford.edu/​ boyd/​graph_dcp.html. Samuel P. Nolan and Simon A. Haine, "Generating macroscopic superpositions with interacting Bose-Einstein condensates: Multimode speedups and speed limits", Physical Review A 98 6, 063606 (2018). The above citations are from SAO/NASA ADS (last updated 2019-04-25 21:44:02). The list may be incomplete as not all publishers provide suitable and complete citation data. On Crossref's cited-by service no data on citing works was found (last attempt 2019-04-25 21:43:59).